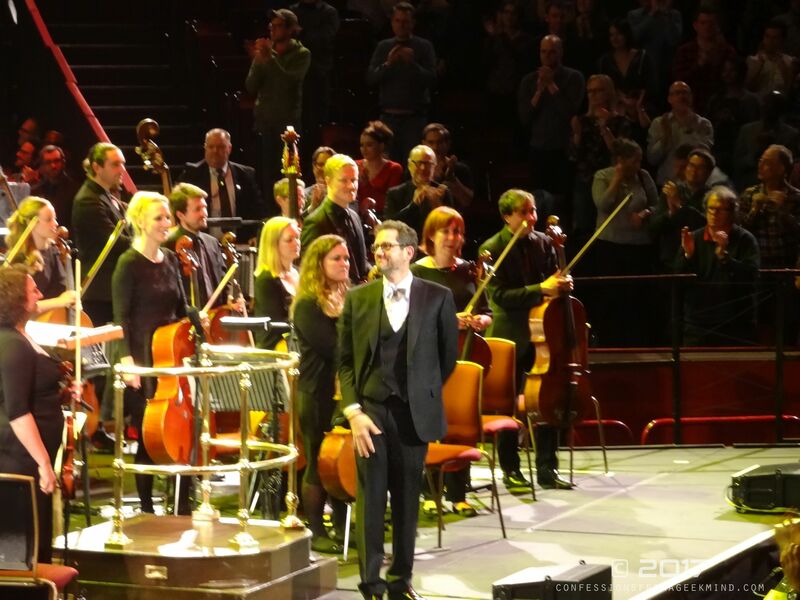 If there was a composer that is in the mould of John Williams, then it’s certainly Michael Giacchino. 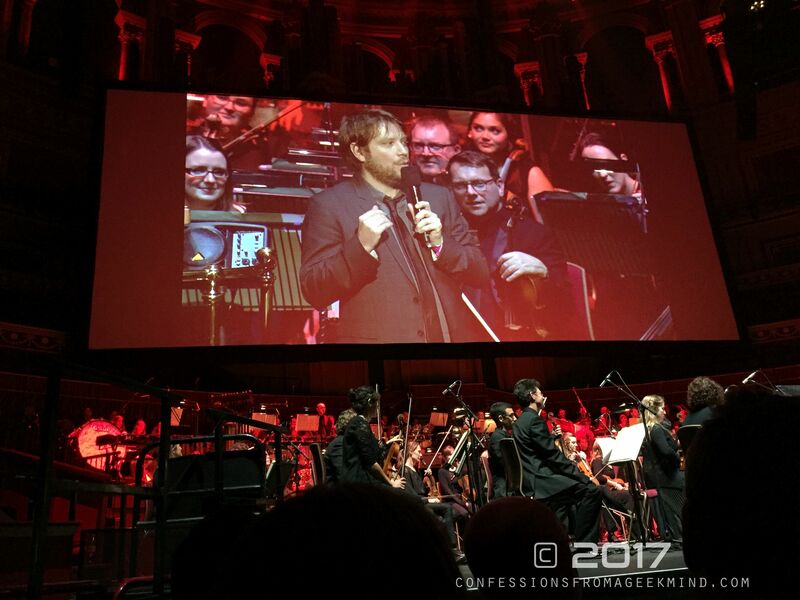 His music has ranged across the spectrum of video games, TV and films that it is simply impossible not to go through this life without encountering something he composed. 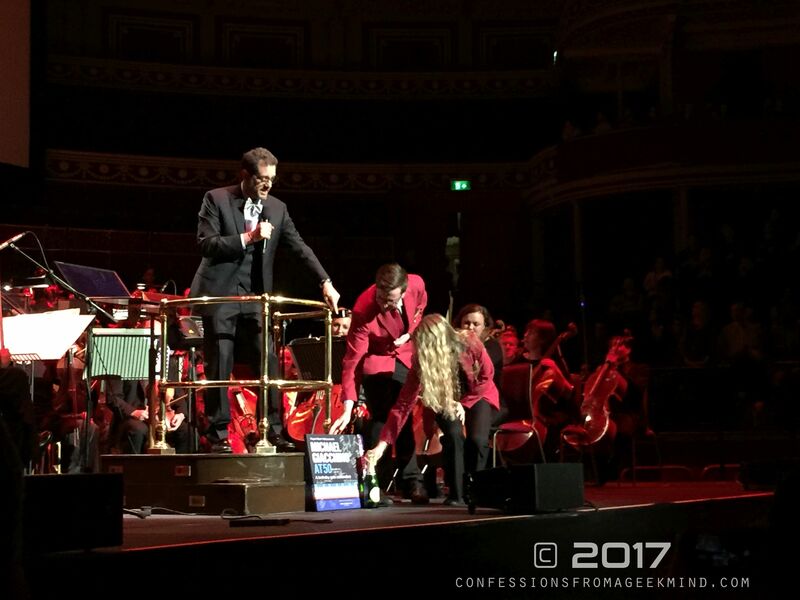 Friday 20th October 2017 at the Royal Albert Hall was a magical celebration of his music. 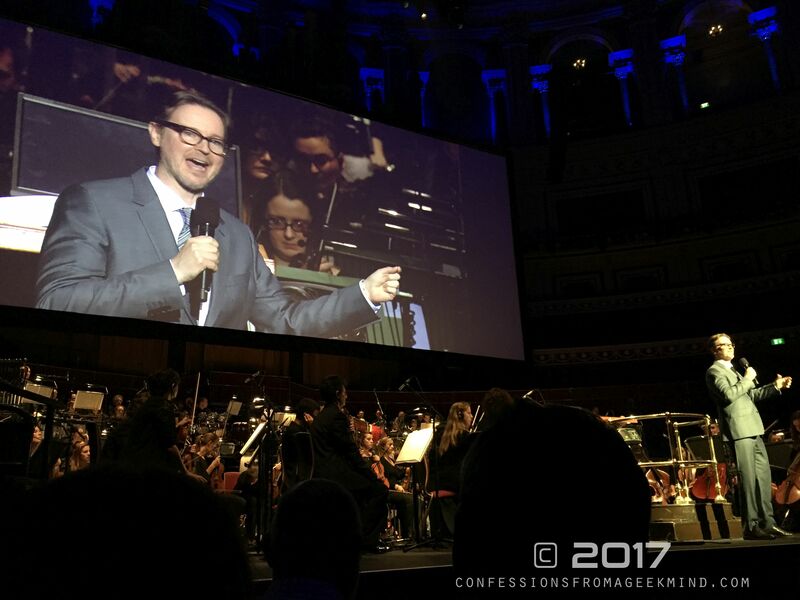 Joined by his celebrity friends and directors which included Gareth Edwards (Rogue One), Matt Reeves (War for the Planet of the Apes), Carlton Cuse (Lost), Pete Docter (Up), Andrew Stanton (John Carter), Colin Trevorrow (Jurassic World), Benedict Wong (Doctor Strange) and J.J. Abrams (Star Wars: The Force Awakens), this was an evening in which the world could wish Michael a well deserved happy birthday. 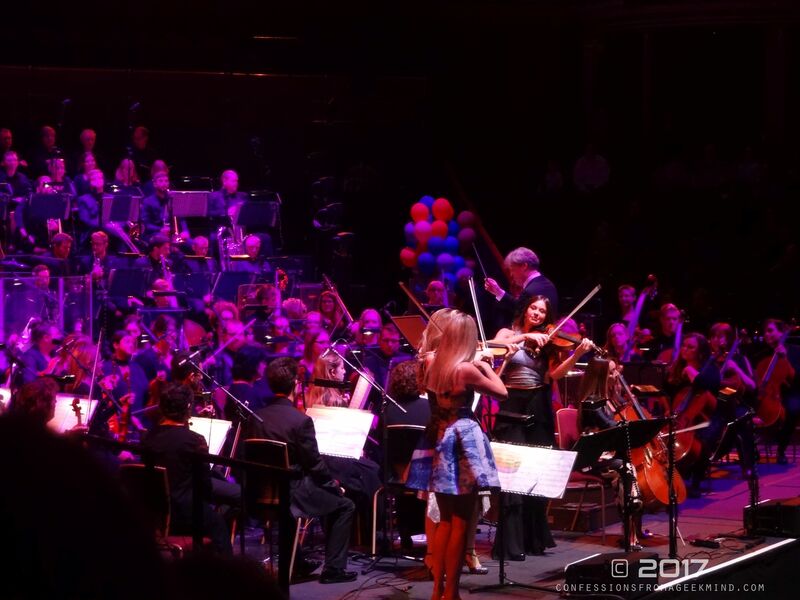 I think the most beautiful way of getting into the music by a composer is to realise they were part of your soundtrack experience before you even knew their name! It becomes an organic association that eventually reveals itself as a pleasant surprise. My first awareness came with the TV show Alias but it was notably Lost where amongst the elaborate twists and turns that kept viewers compelled every week, the music was always the stand out element in that drama. I played Medal of Honor: Frontline on PS2 in my youth not even knowing he was the orchestrator. 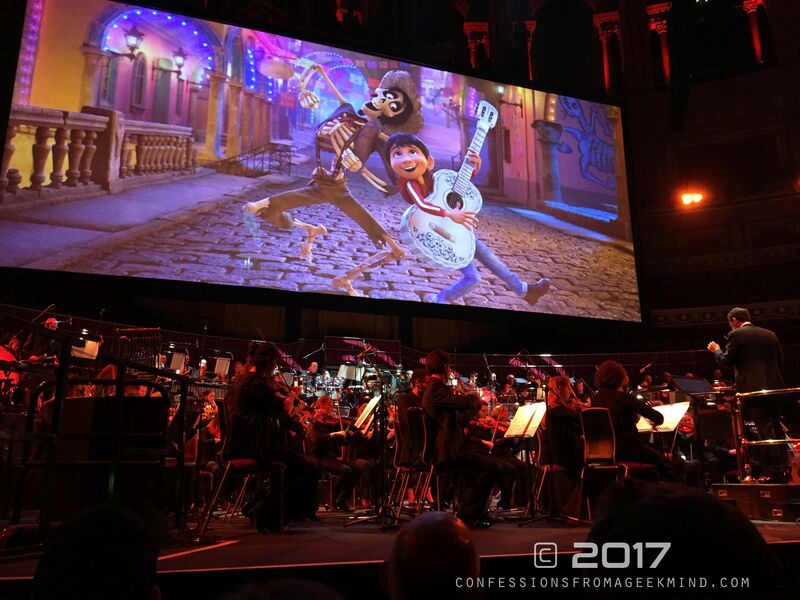 But the name didn’t actually click until his work on the Disney/Pixar films with The Incredibles, Ratatouille and the one score that forced me to properly seek out his name because I cried during the film – Up. He’s like a serial offender on my musical ears. 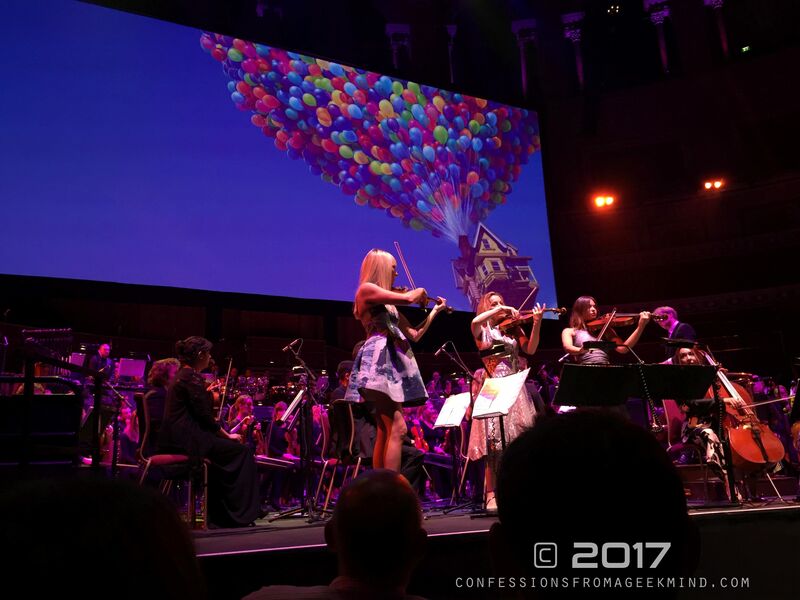 I think I’ve actually cried more times at his film scores than I care to admit! 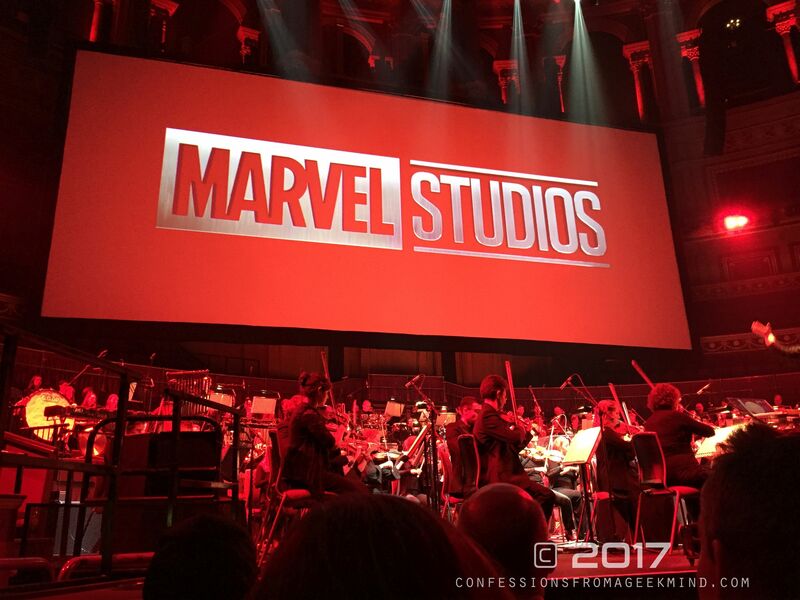 That essentially is what makes film scores so great. Music is an emotional connection that can speak volumes more than any dialogue written or spoken. 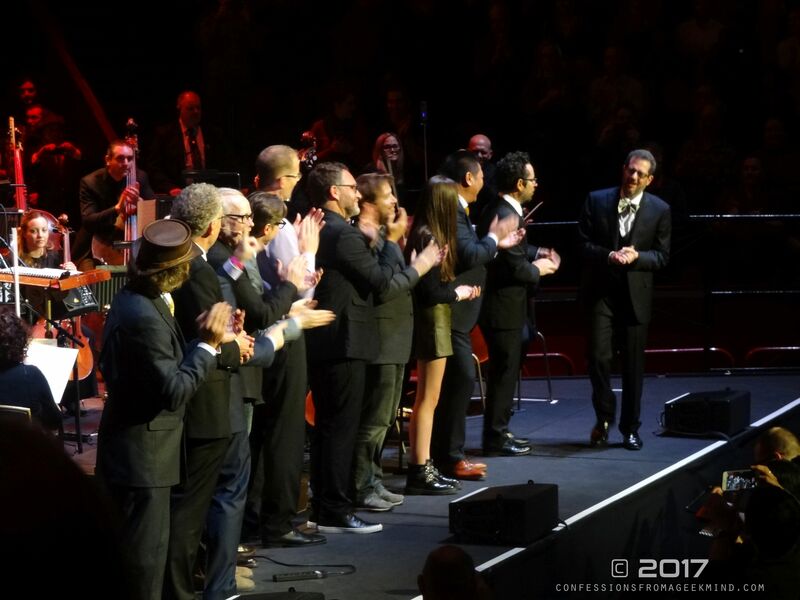 When done right which Giacchino has done on so many occasions, that connection means a lot. 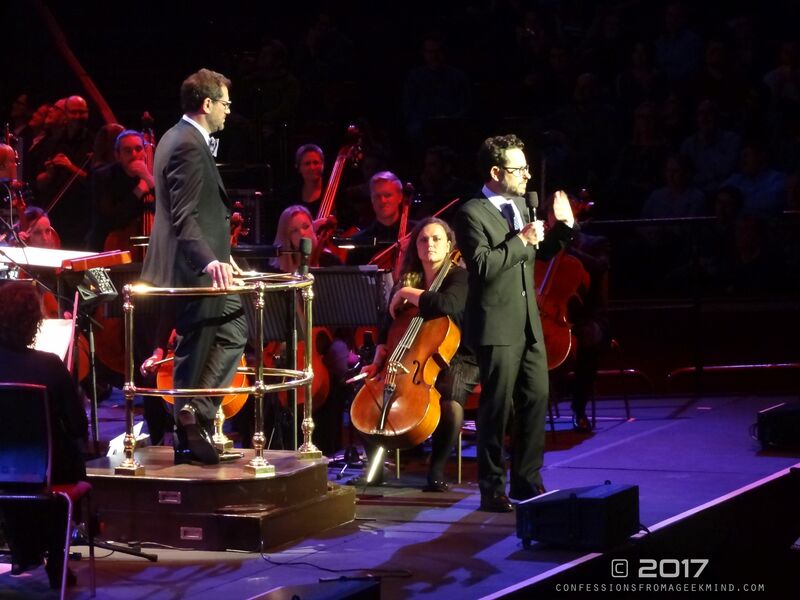 I remember reading interviews about the emotional process Michael Giacchino went through for Up which only inspired me to search his back catalogue for his other works which includes the Star Trek trilogy, Tomorrowland, Inside Out, Mission: Impossible and many more. 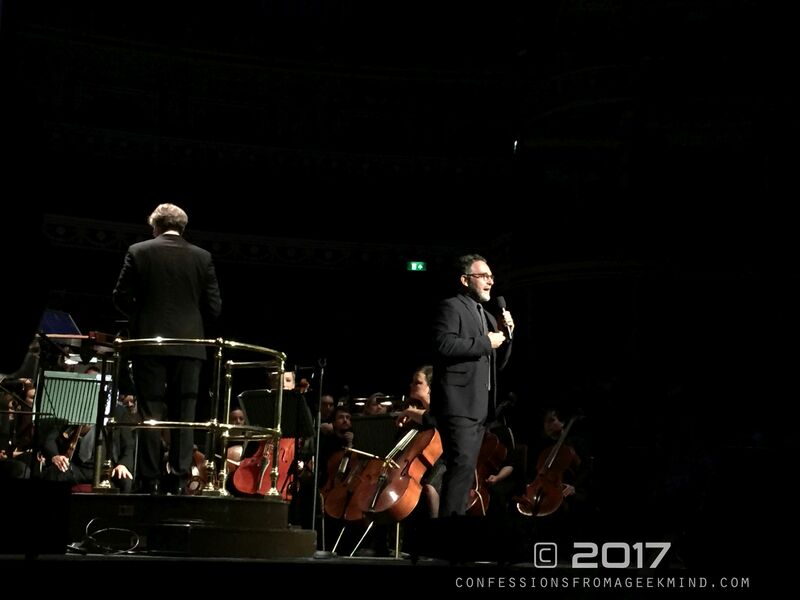 The opportunity to see his music performed live by the maestro himself alongside fellow conductor Ludwig Wicki, the Cinematic Sinfonia and the English Chamber Choir could not be turned down. 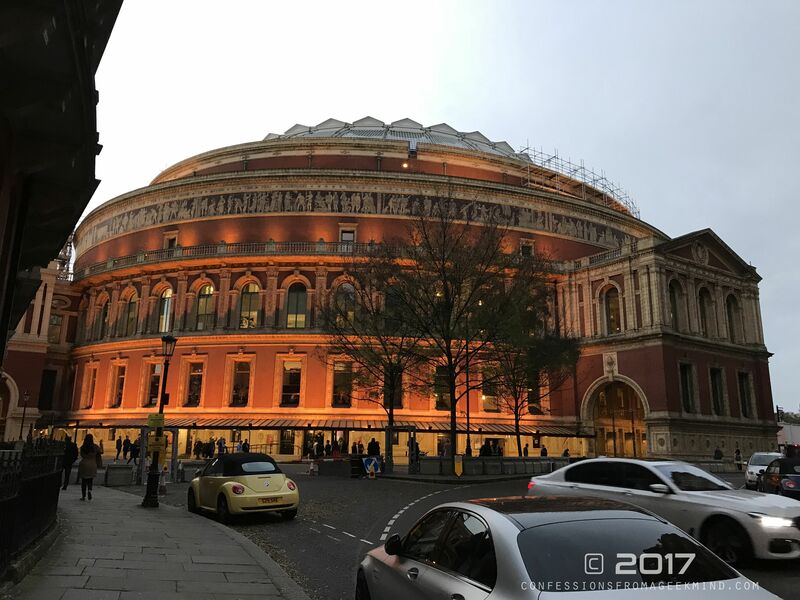 This was my first time visiting the Royal Albert Hall (I know, I know, being a Londoner and all). However, what made the night a treasure was the intimacy. 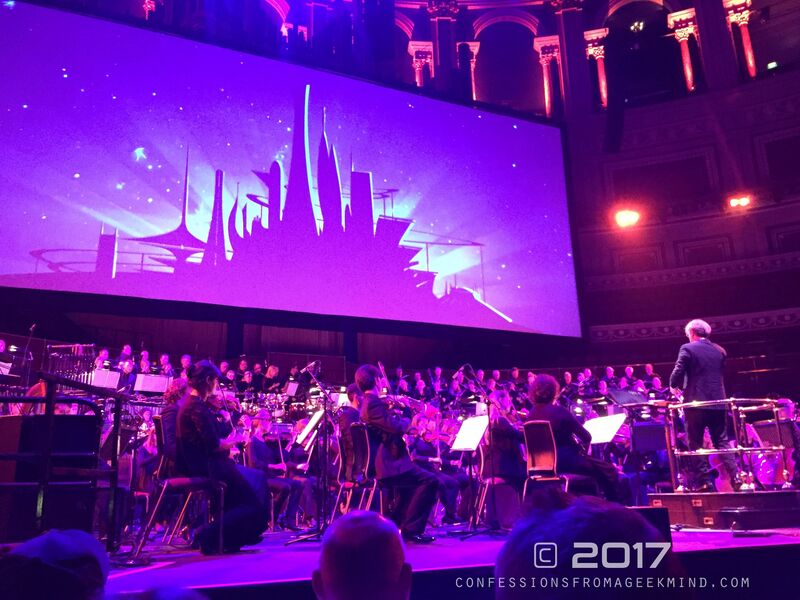 This was music at its most purest and heartfelt, stripped back to its core by taking the audience on a romanticism journey through Giacchino’s catalogue of work. The historic venue was a perfect match to capture that because the music simply did all the talking. 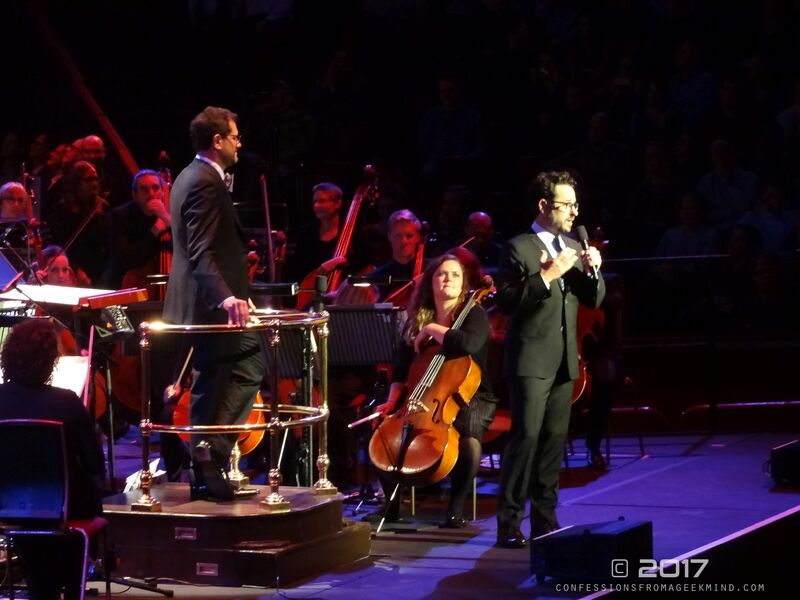 Giacchino’s passion for film in undeniable. 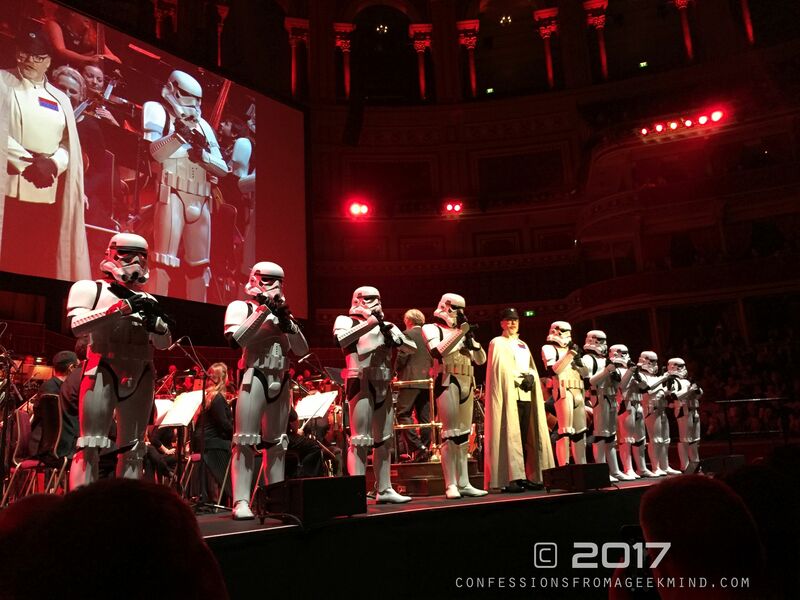 His friends and collaborators each taking the stage to share stories of his enthusiastic commitment such as wearing a Darth Vader mask during a conversation or coming up with score titles for Rogue One which included “It Takes One to Rogue One.” In fact, if you look at the titles for some of his scores, they are quirky in-jokes. 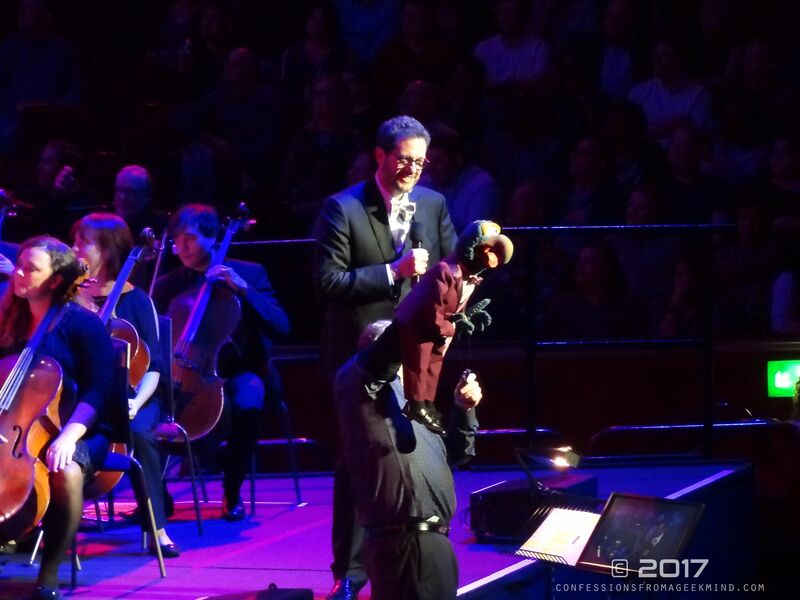 It was unanimous and infectious – Michael Giacchino was a big kid. He still is. The childlike obsession started at a young age, making home movies on his super 8 camera. Like most kids of our youth, we were enamoured by the golden age of cinema where Spielberg and Lucas redefined the movie blockbuster. 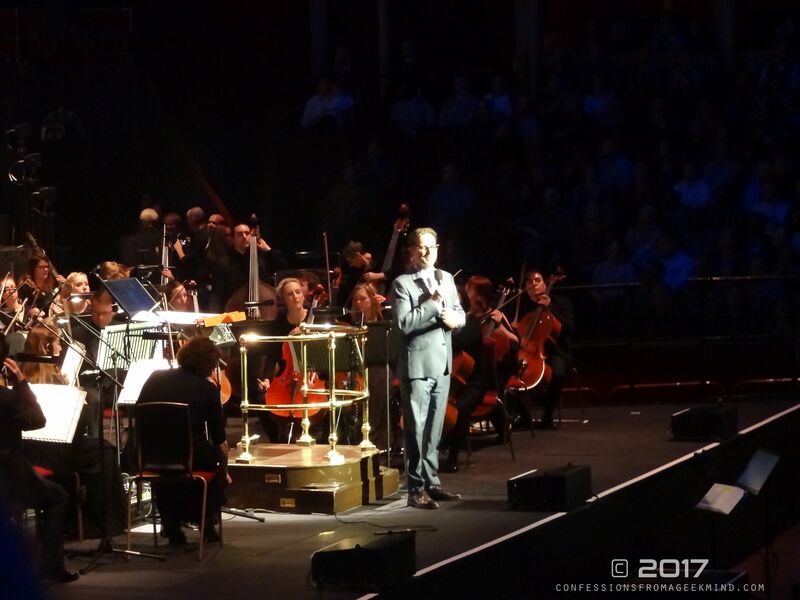 That served as an inspiration and at fifty years old, he still carries that spirit that made him a household name as one of the great composers of our generation. 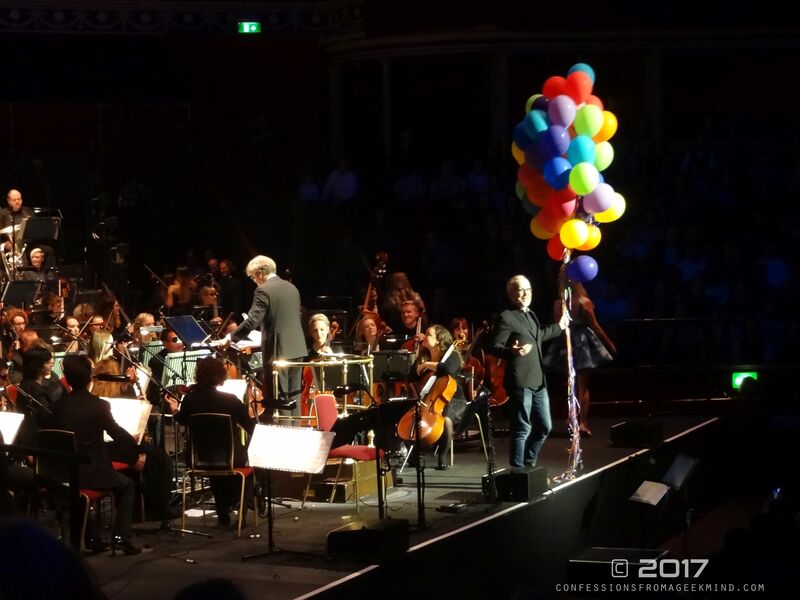 Hosted by Adam Savage (who dressed for the occasion in multiple ways), the night was filled with laughter, bittersweet memories and emotionally poignant scores. 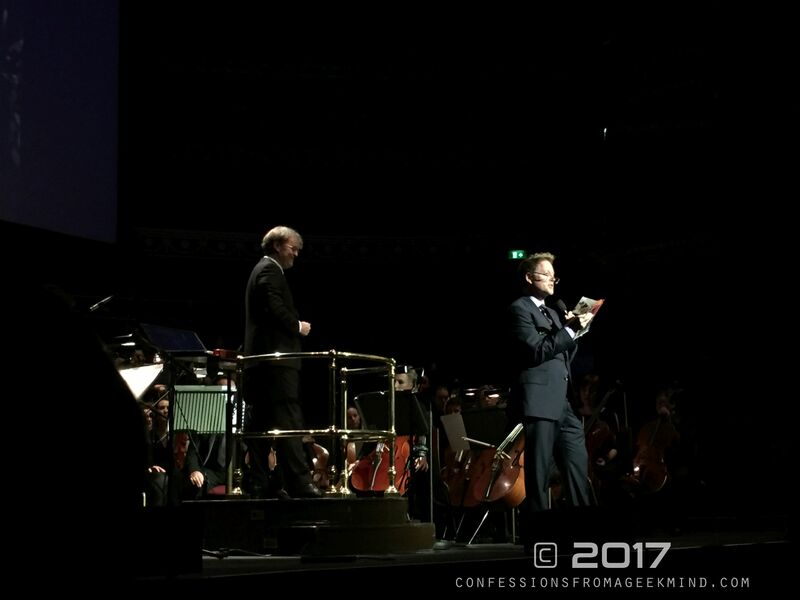 The audience responded with enthusiastic cheers. It kicked started with bang with a happy birthday sing-a-long, swiftly followed by the 60s jazz/spy fusion of The Incredibles. 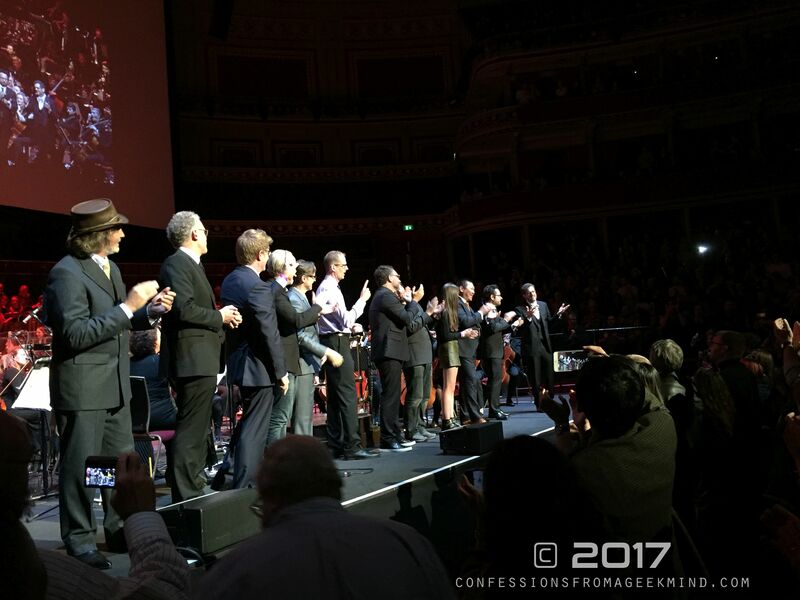 Split into two halves (with Michael and Ludwig sharing the conducting responsibility), the evening was given equal dedication, ranging from scores from Jupiter Ascending, Jurassic World, the Marvel Suite featuring Doctor Strange and Spider-Man: Homecoming, Rogue One, Lost, Up, One Man Band, Ratatouille, Tomorrowland, War for the Planet of the Apes, Star Trek and Super 8. 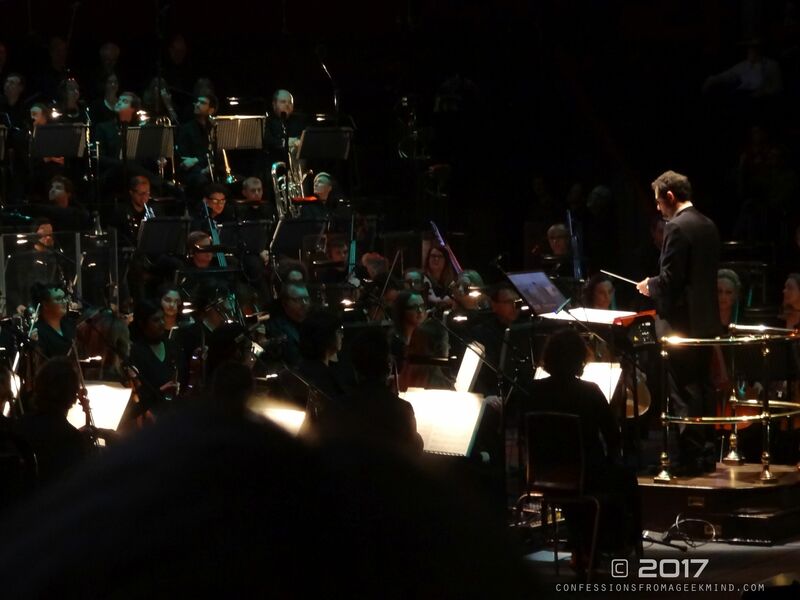 While mood music has been the choice for most blockbuster films today, Giacchino’s music has an old school quality about it, acting as a nice alternative to that culture. 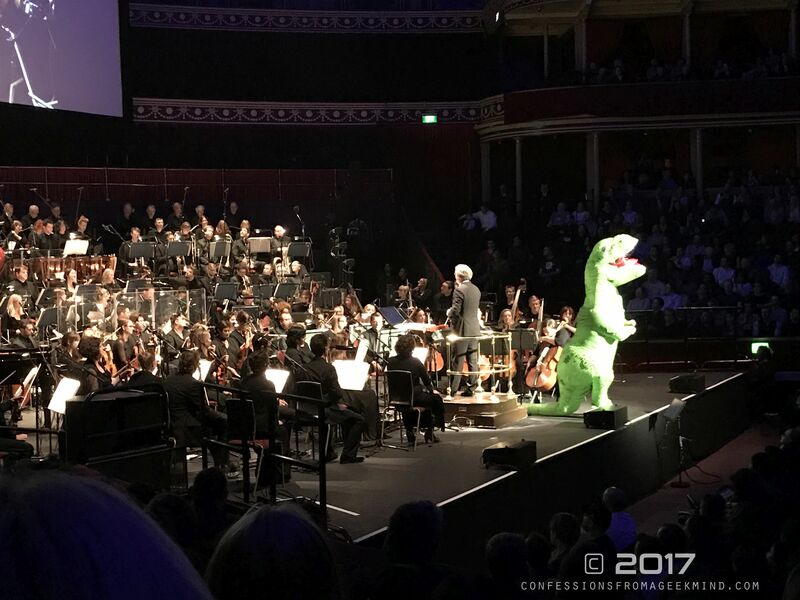 Given that John Williams set that standard originally, Giacchino is following in his footsteps whilst contributing to that raised bar for film scores. 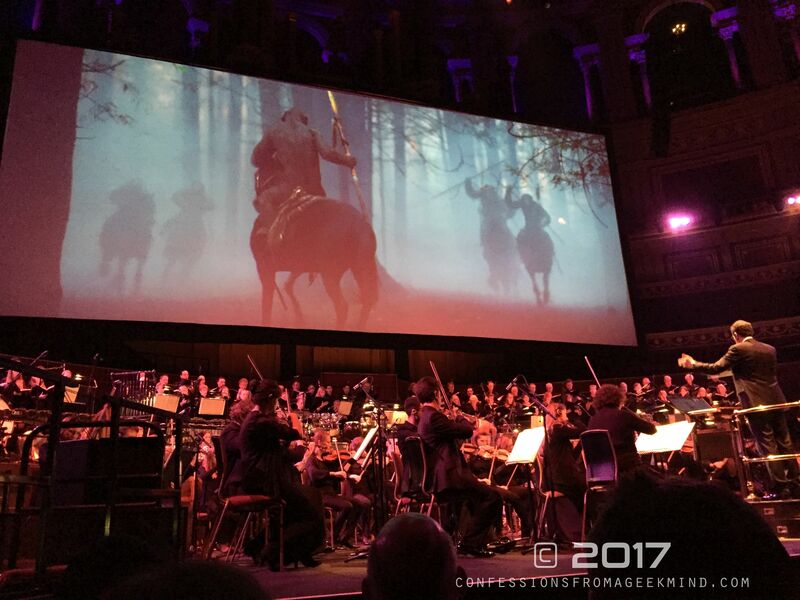 If you need proof of that, listen to the score for War for the Planet of the Apes which I believe is the best film score of 2017 and a career best, surpassing my love of The Incredibles and Star Trek. 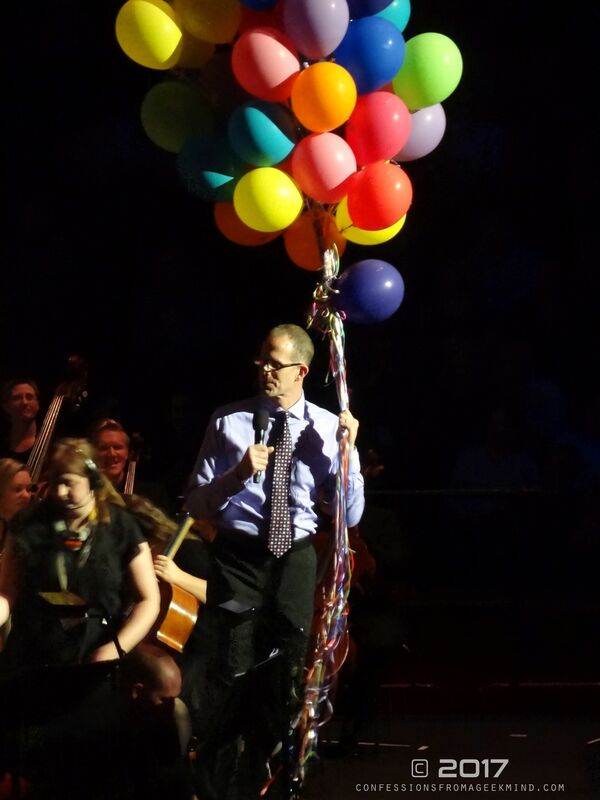 There was an element of surprise during the performance. 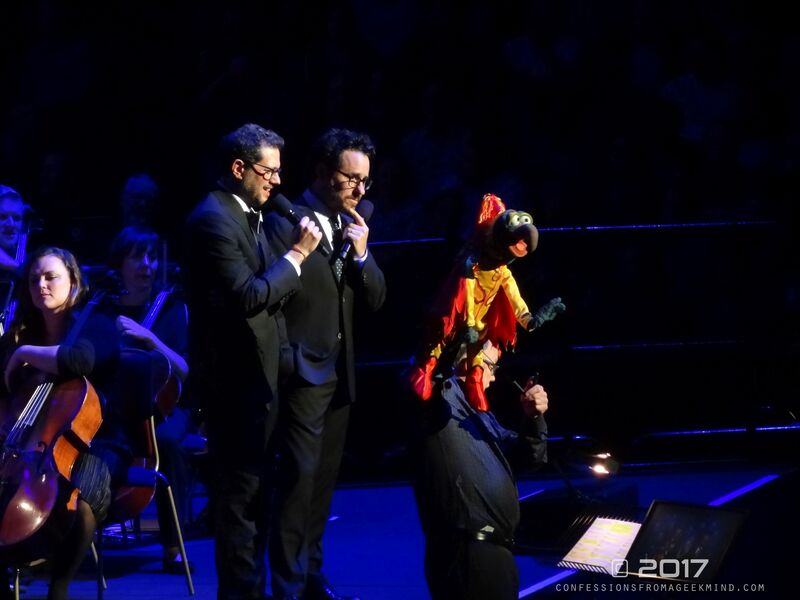 Gonzo the Muppet made an appearance to pull off a birthday stunt for Michael (which of course did not go to plan). But in the end, they sang “I’m Going to Go Back There Someday” from The Muppet Movie. 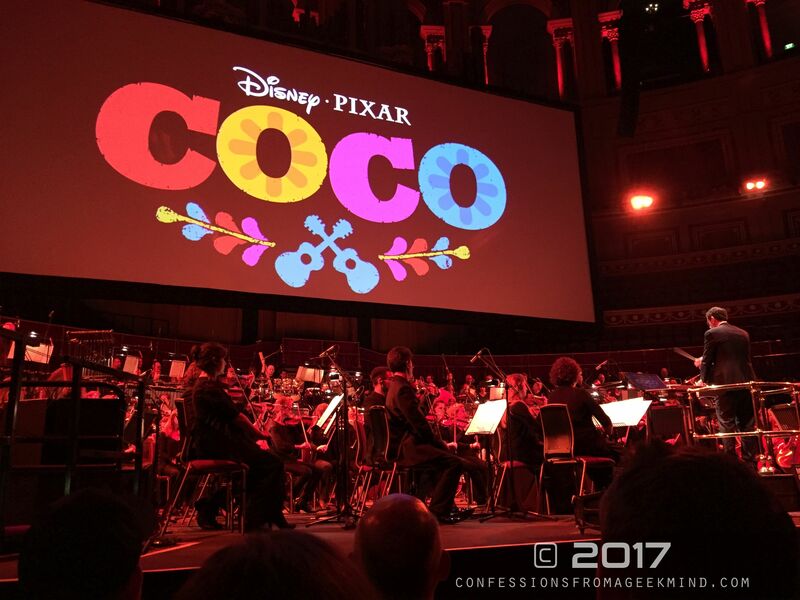 The second one was an exclusive – Giacchino played music from the new upcoming Disney/Pixar film, Coco which will be released in the UK in 2018. He had just finished scoring the film and all I can and will say is that he’s onto another winner. 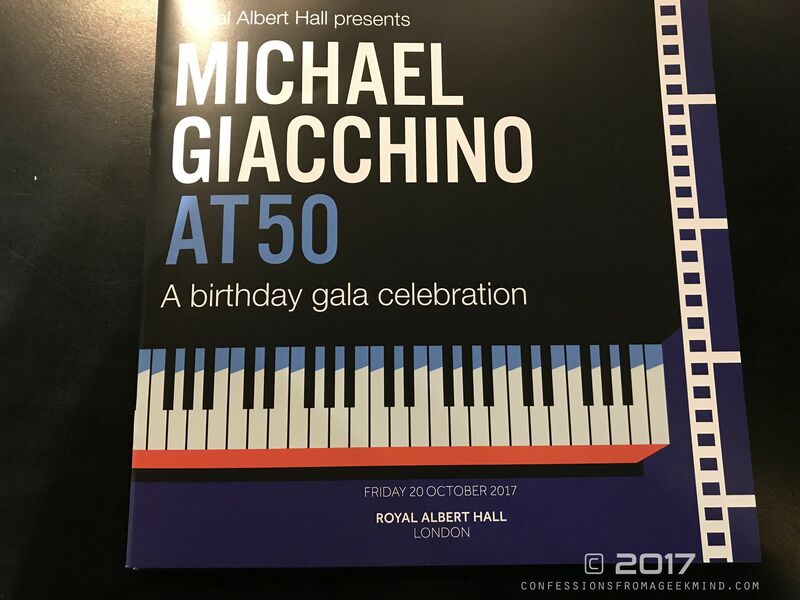 Michael Giacchino at 50 was just awesome and a perfect way to spend a Friday night in a beautiful and uplifting way. If you have the opportunity to see him live, please do. You will have no regrets because you will be seeing a passionate individual who produces something special every single time. Happy birthday Michael. Here’s to fifty more years of beautiful music. To explore the gallery below, click on an image to enlarge. Special thanks to my friend Lab-Kim Cheung who captured some close-ups. That’s amazing!! I was just here the night after for the first time for Jaws in Concert. It’s an amazing venue. I will never leave it that long again. 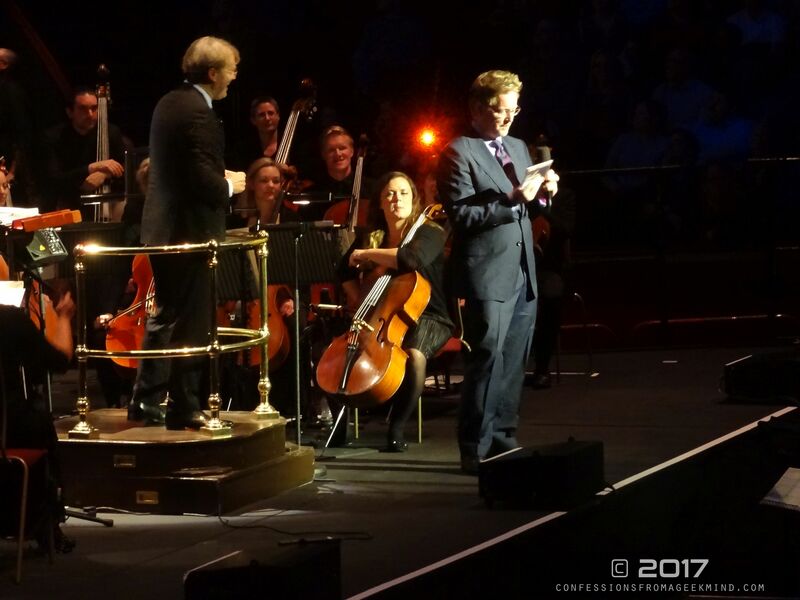 Royal Albert Hall has a good thing going on with film score performances and that evening was really special. Can’t wait to see more. 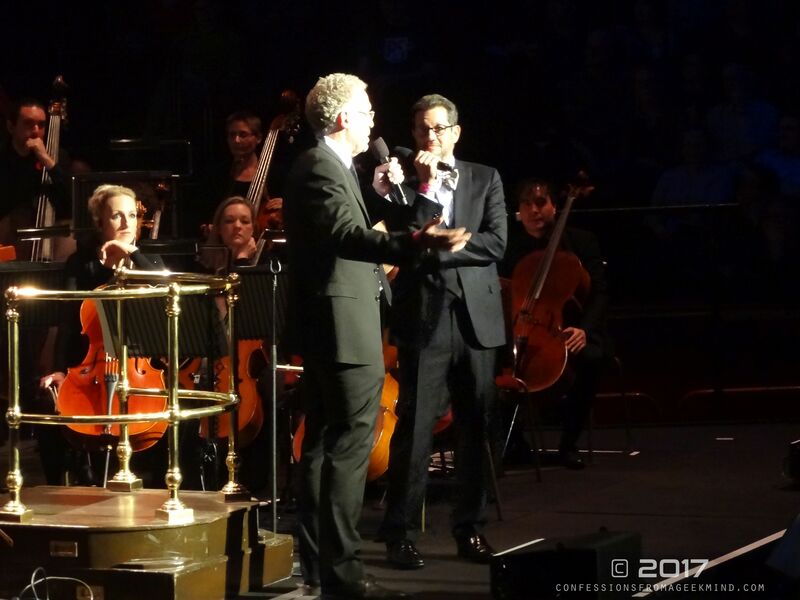 John Williams is my all time favorite film composer, and I think Michael Giacchino has become my second favorite. He packs a lot of emotion and power into his film scores. I’d love to see him keep working on the Star Wars anthology films! 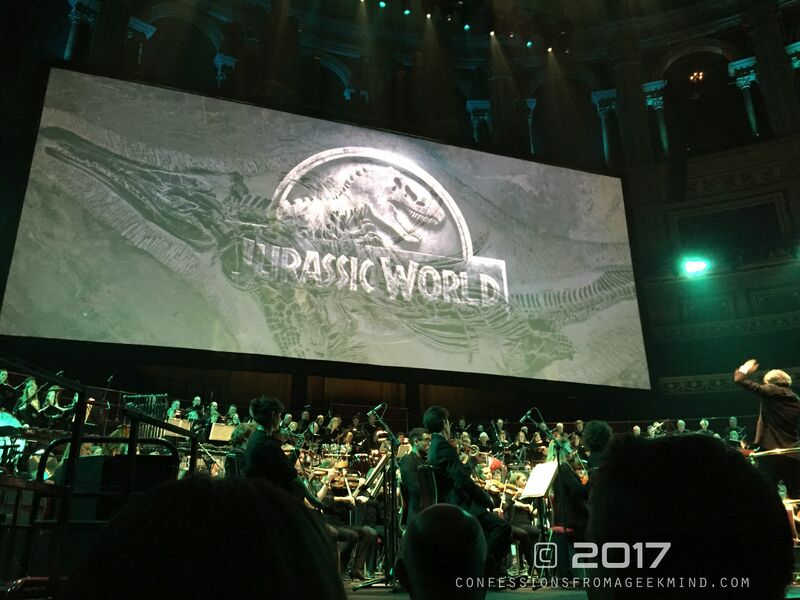 John Williams is my favourite as well and certainly Giacchino is slowly working towards William’s level. That’s how incredibly good he is. 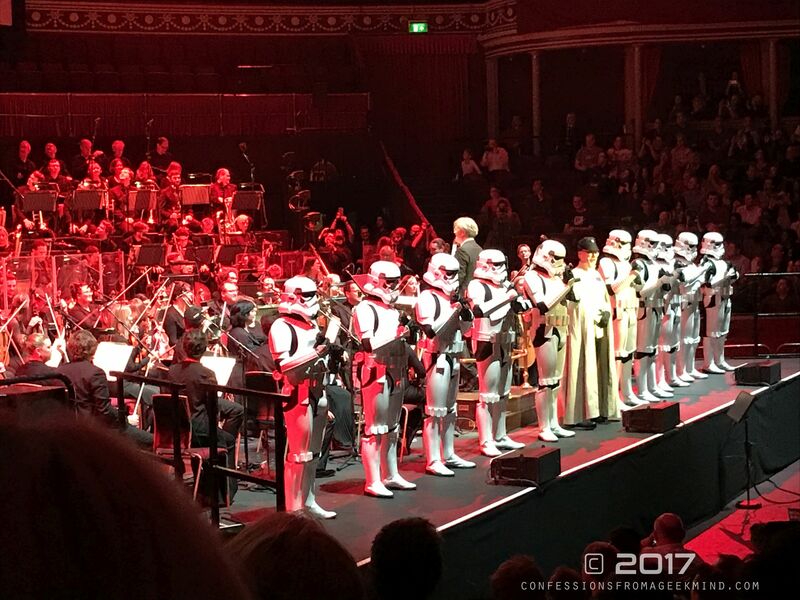 It will be interesting to see if he gets more of the Star Wars spin-off jobs to compose. Rogue One was a decent effort due to the difficult circumstances. I hope he does and gets included from the very beginning. 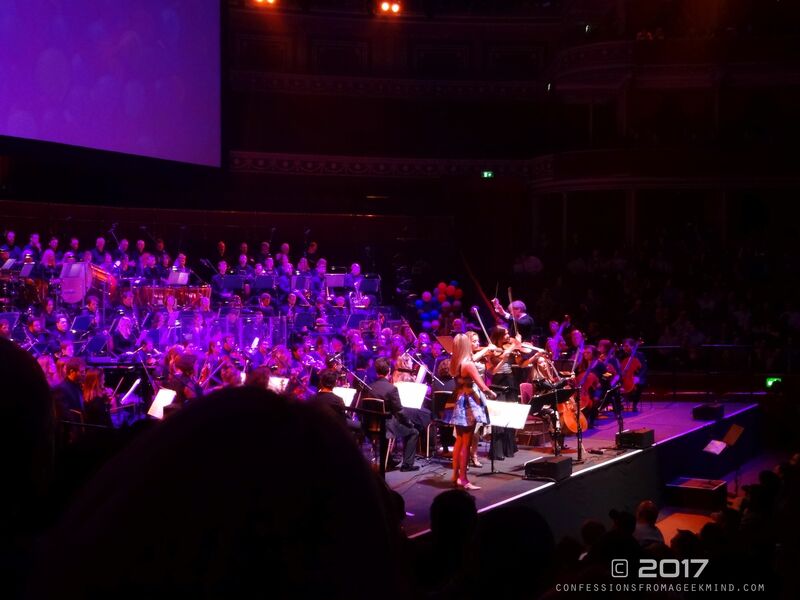 Do you have a favourite Giacchino soundtrack or track? I think my favorite Giacchino track is “Enterprising Young Men” (I believe it’s called) from the 2009 Star Trek movie. I also thought he did a good job with Rogue One considering the compressed timeline. “Your Father Would Be Proud of You” is a really emotional track; I believe that’s the one with Jyn and Cassian on the beach, watching the Death Star blast roll towards them.